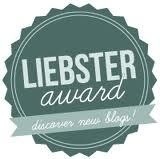 This entry was tagged Blog, Blog Awards, Blogging, Ernest Hemingway, Gertrude Stein, Liebster Award, Linda Gillard, Mandy Webster, Writer, Writer Resources, Writers Resources, Writing, Wuthering Heights. Bookmark the permalink. Great answer on #2 from Black Rooster. That’s one of my themes. Why are people so terrible to each other? I know 😦 Things have changed so much in the last few years. I also love the Internet! 🙂 How did we ever live before it?? Tell the story you’ve never told anyone else, the story about the thing you’re most ashamed about?! What a cheek…good answer Vikki. Your secret is still safe…. I prefer the question ones to the “7 things” ones. These are always so fun, enjoyed your answers. I thought it interesting you said the internet brings people together, I think the same thing, but there are so many that think the technology has spaced people further away from real connections. I’m closer to my mama, sister, and friends due to how easy it is to contact them and share bits of our lives. It was fun thinking of the answers!